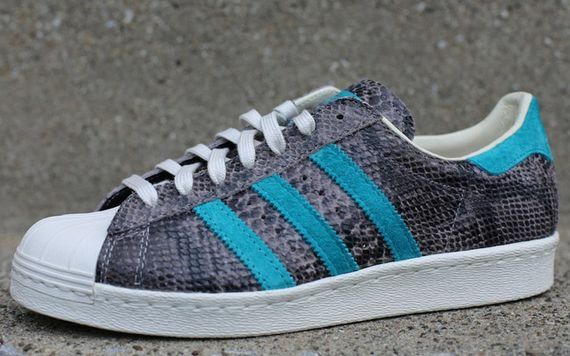 adidas Originals - Superstar 80s "Snakeskin"
We’ve seen quite a lot of new looks for the infamous “shell-toe” lately, and this latest snakeskin offering from adidas is up there among the boldest. 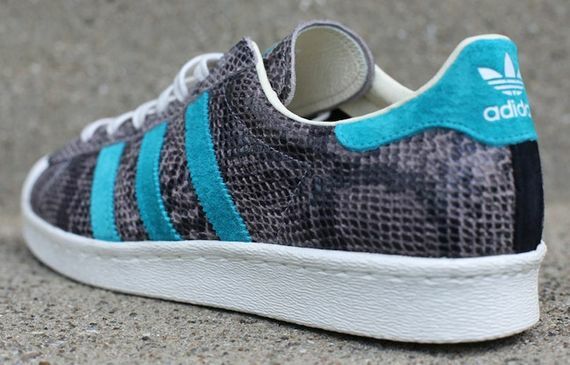 Though most people aren’t fond of seeing classics get dressed up, the Superstar was one of the first sneakers to see people have fun with customization, from changing the laces to removing them and more, so it makes sense that adidas would, decades later, still be pushing the envelope. 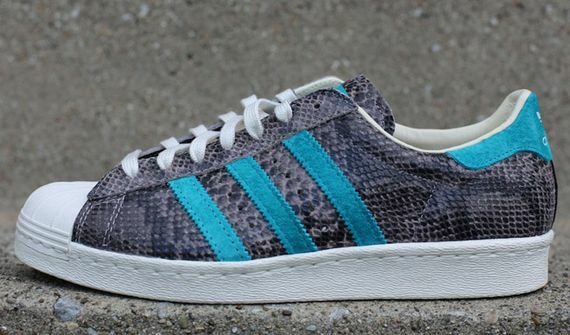 These fit the “year of the snake”, will they fit you? Let us know via our Facebook, Twitter and Instagram. More photos after the jump.